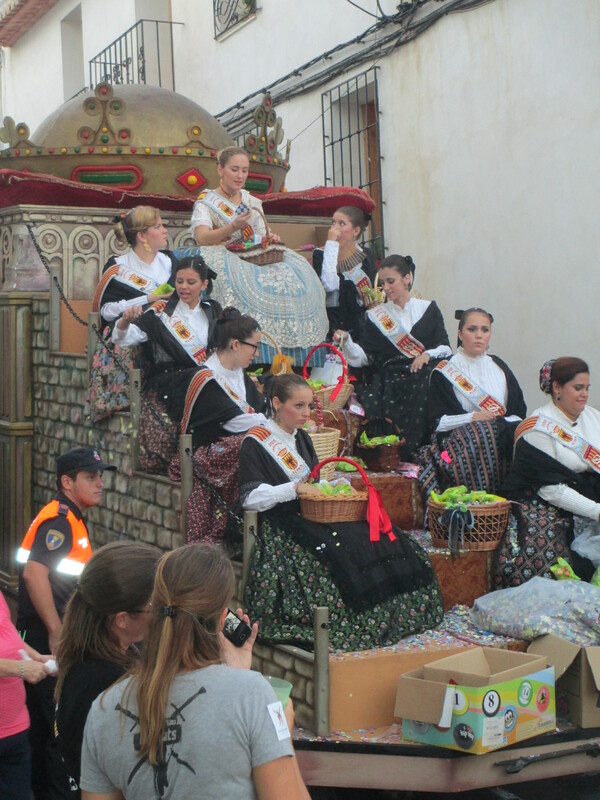 Moros Y Cristianos Festivals or Festes de Moros I Cristianos, in Valenciana, are very popular on the Costa Blanca, where I live. 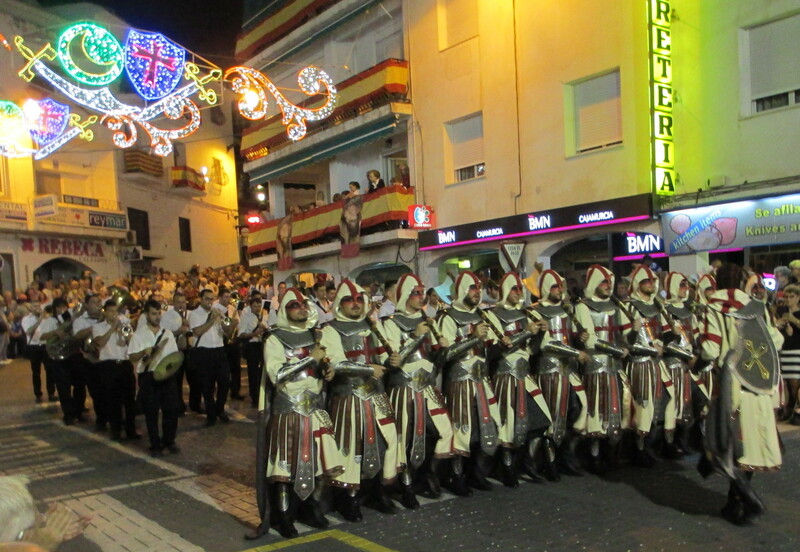 In my town, Altea, the main festival takes place at the end of September, honoring San Blas (Saint Blaise, in English.) 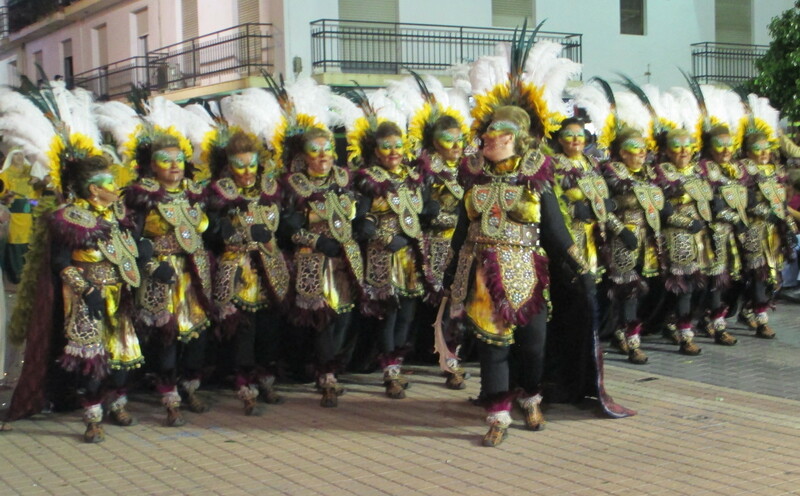 However, the preparation for the main festival takes place all year long with each crew or brotherhood. 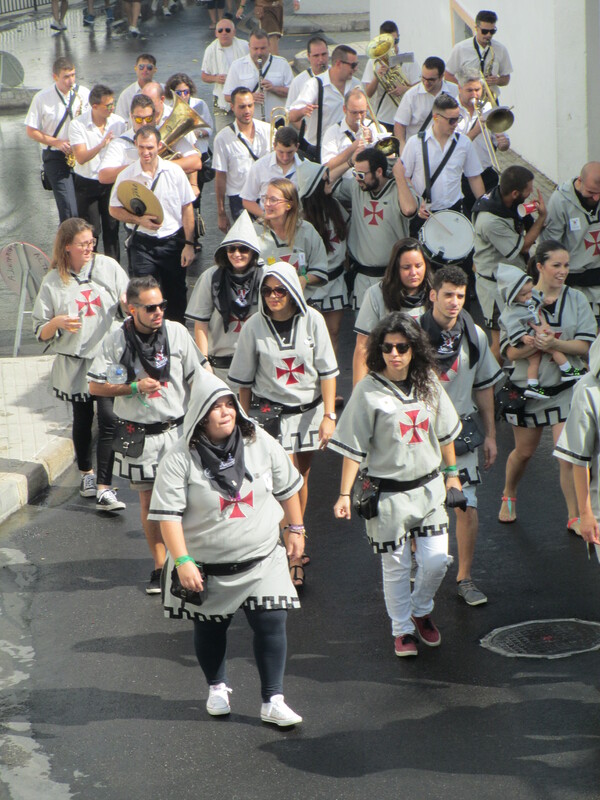 Each of the many groups has its own marching band. 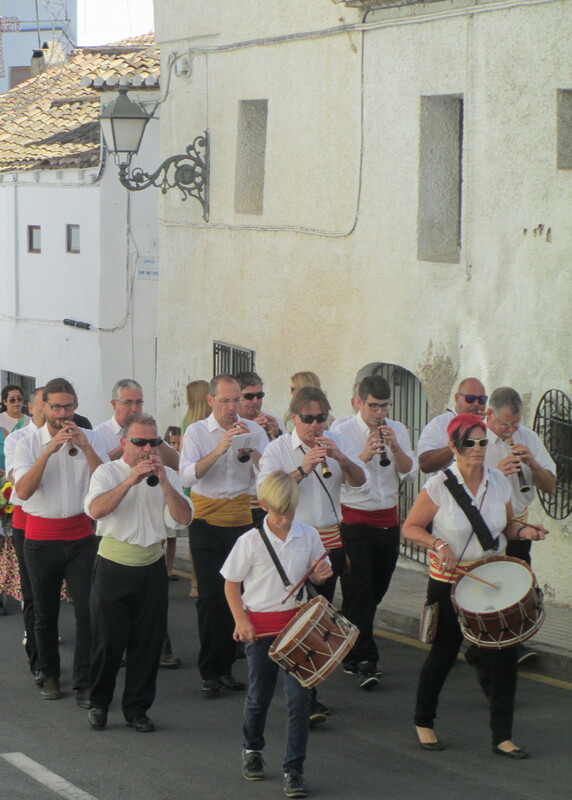 As is typical of many festivals, at 8:00 or 9:00 a.m., (early by Spanish standards), there is a despertá, where musicians, drummers, and ear-numbing pellet guns stroll the streets with this form of an early wake-up call. And it is early as many of the festival participants party into the wee hours of the morning, with live bands starting nightly some time after midnight. 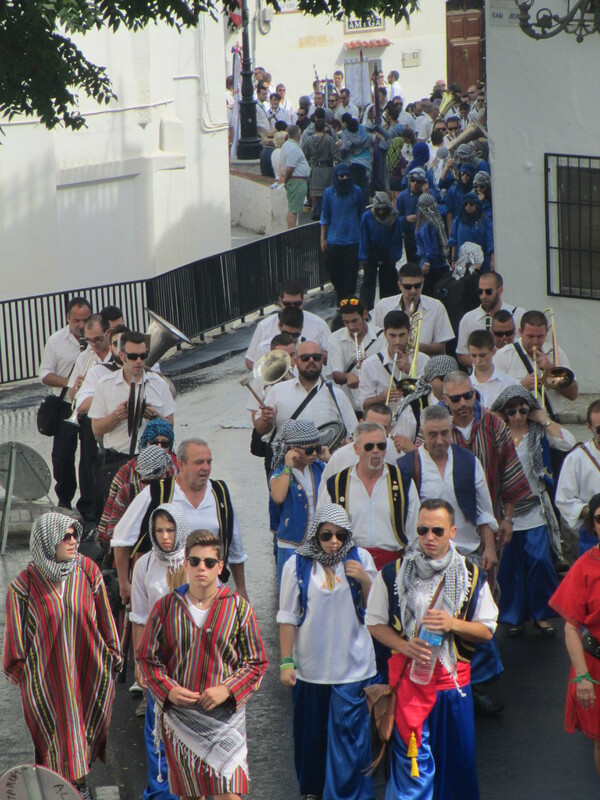 This main part of the festival occurs Thursday through Monday, with the most popular event being the Monday night Entrada Mora, the parade featuring the “Moors.” I did ask around to find out if any actual “Moors” or Muslims participated, but was told no. 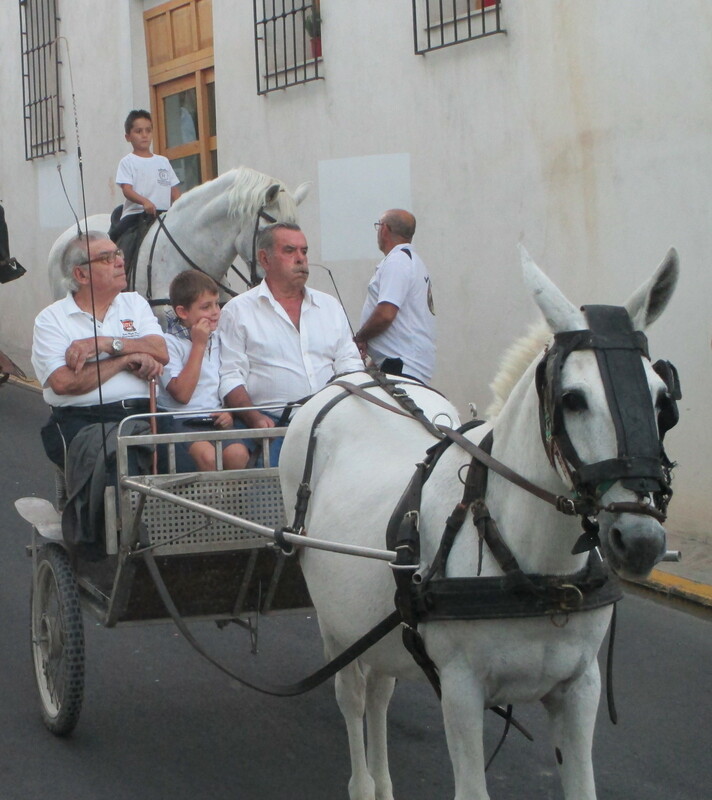 This type of festival would not “fly” in the US but there are a number of festivals in Spain that may seem politically incorrect in other countries. 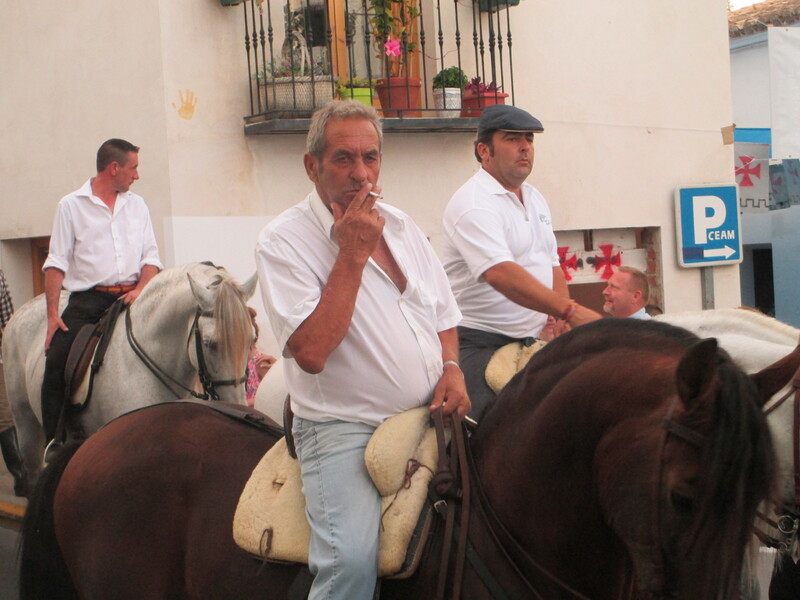 In some of the photos of the brotherhood of the Moros, you will notice cigarettes and beer in hand, during the daytime marches. 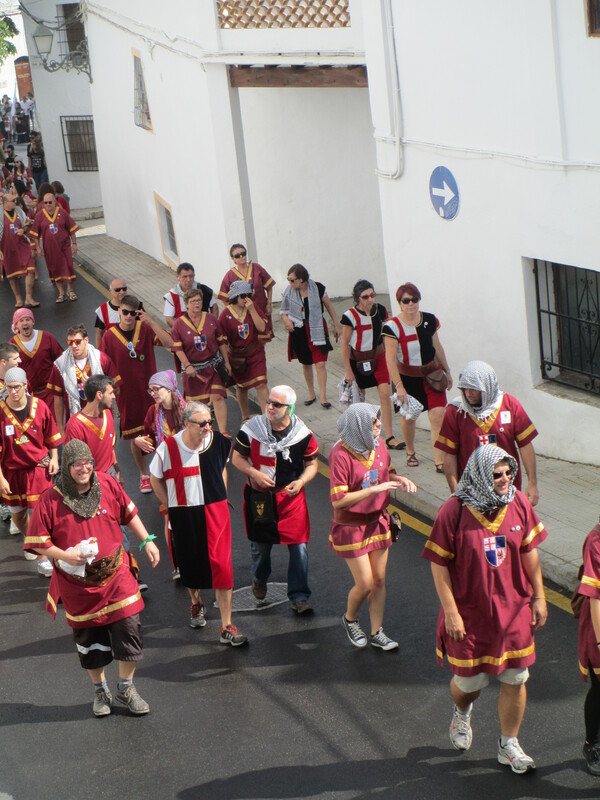 One of the “brotherhoods” has their headquarters just across the street from my patio, so I often get to witness their preparation and celebrations. 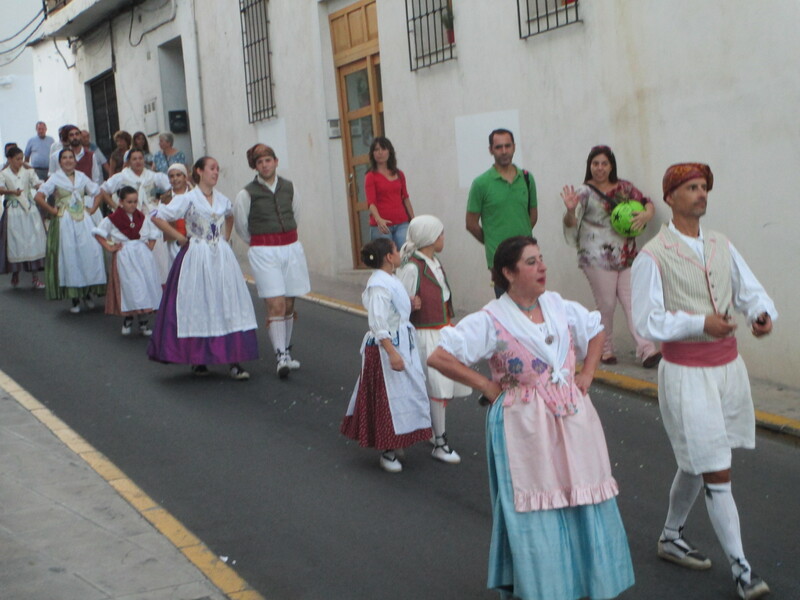 Whatever one’s feelings are about the political incorrectness, the local atmosphere is electric with anticipation and excitement for the festival, and the music and costumes are fantastic. 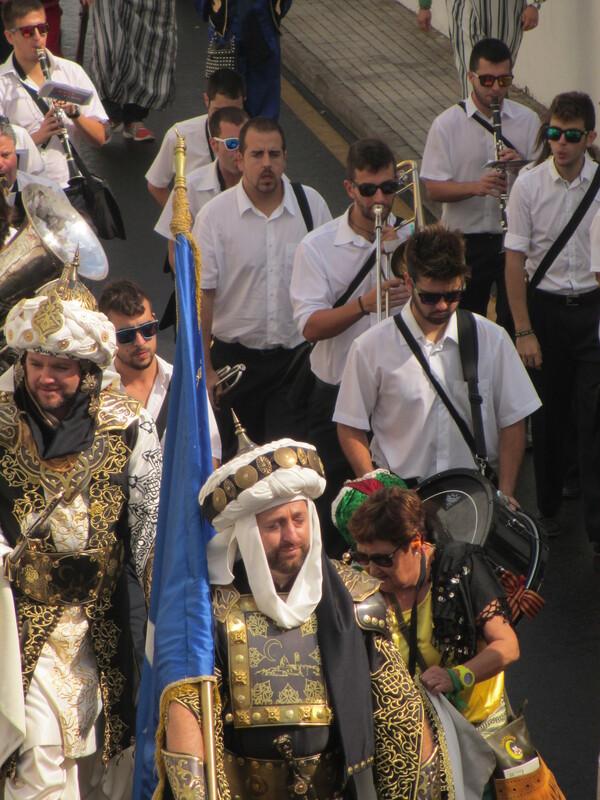 In my next two blogs, I will provide photos of the Cristianos and the Moros, respectively.